It is recommended to enable encryption on your wireless router D-Link DIR-825 before your wireless network adapters. Please establish wireless connectivity before enabling encryption. Your wireless signal may degrade when enabling encryption due to the added overhead. 1. Log into the web-based configuration by opening a web browser and entering the IP address of the D-Link DIR-825 router (192.168.0.1). Click on Setup and then click Wireless Settings on the left side. 3. 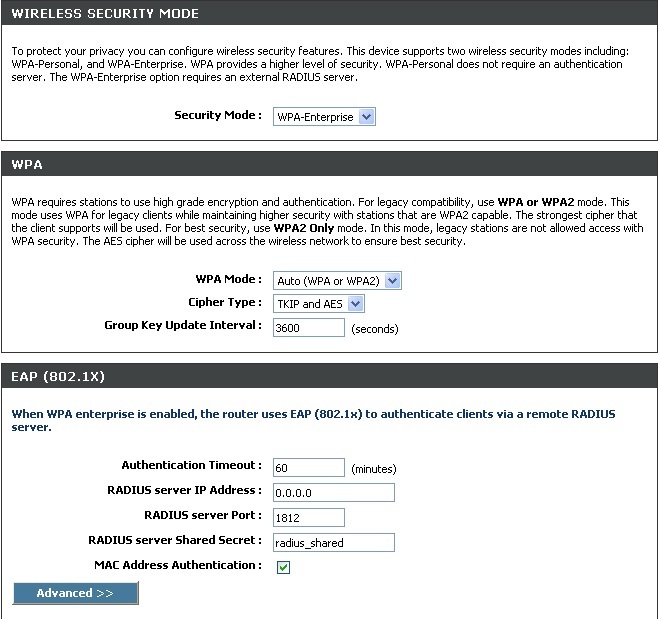 Next to WPA Mode, select Auto, WPA2 Only, or WPA Only. Use Auto if you have wireless clients using both WPA and WPA2. 5. Next to Group Key Update Interval, enter the amount of time before the group key used for broadcast and multicast data is changed (3600 is default). 6. Next to Authentication Timeout, enter the amount of time before a client is required to re-authenticate (60 minutes is default). 8. 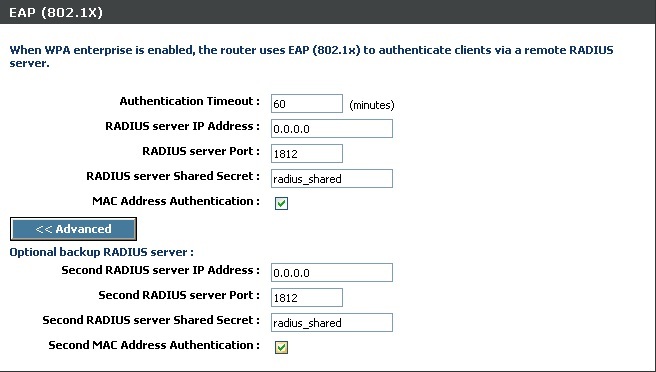 Next to RADIUS Server Port, enter the port you are using with your RADIUS server. 1812 is the default port. 10. If the MAC Address Authentication box is selected then the user will need to connect from the same computer whenever logging into the wireless network.